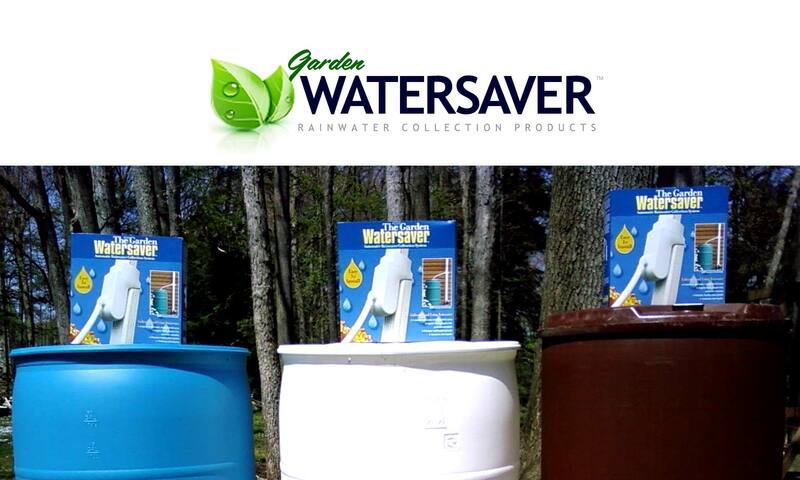 Add a Spigot to any new or recycled plastic barrel to make it a fully-functioning, easy-to-use rainwater transfer system! This spigot is for use specifically on vertically-positioned barrels, as shown in the photo below. 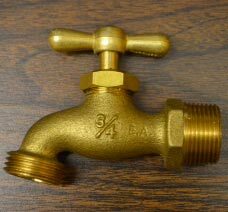 The barrel used can be open-top or sealed, but this spigot MUST be attached to the lower rounded-side portion of the barrel. 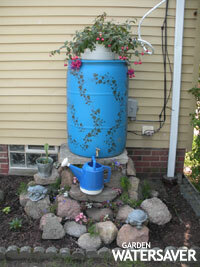 See instructions for installing a spigot on the How To Build A Rain Barrel page.